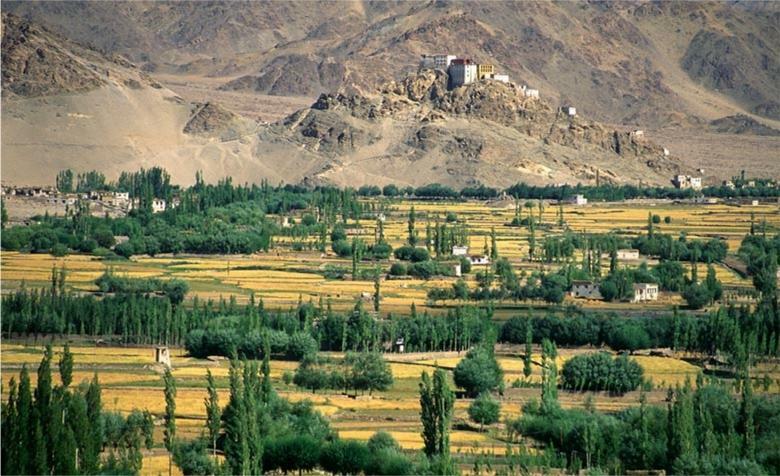 It is a mountain desert irrigated from streams that rise on the high glaciers, a land of snow capped mountains, arid landscapes, sparse habitation splashed with small but brilliant patches of green and a gentle friendly people. The journey starts at Manali in the Kulu Valley, lying in the foothills of the Himalaya a predominantly Hindu culture with a fine tradition of weaving, it is a valley of lush pastures, orchards and pine forests. 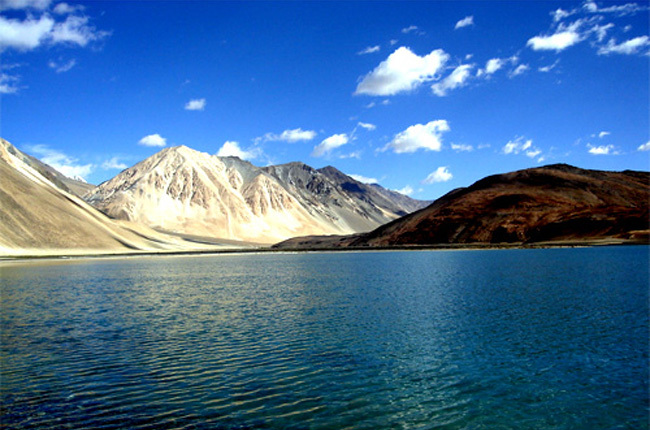 The 3 day drive by jeep, from Manali to Leh (climbing to 12,000 feet) the capital of Ladakh, crosses rough Himalayan terrain, past high glacial falls, narrow gorges, breathtaking scenery and two passes over 16,000 feet. 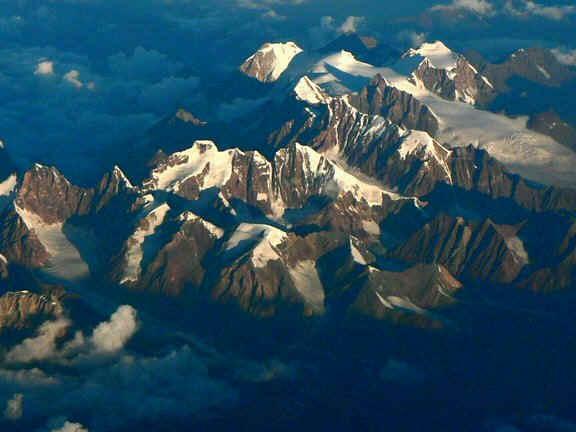 A land uninhabited except for nomadic horsemen, wild birds and the Kiang (or Tibetan Donkey). Walks to see temples, the bazaar of Old Manali and the countryside. Stay a second night at Hotel Negis-Mayflower. Visit Naggar Castle, and weaving centres, by jeep. Stay a third night at Hotel Negis-Mayflower. Stay a second night at your chosen accommodation. 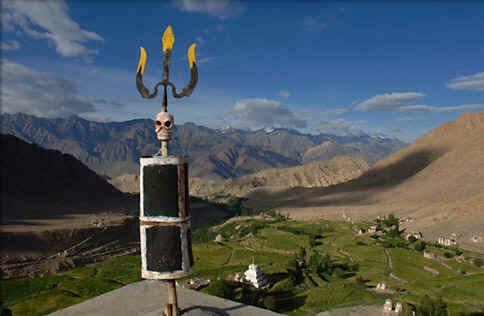 Visit the important monasteries of Shey, Thiksey and Hemis by Jeep. Stay a third night at your chosen accommodation. 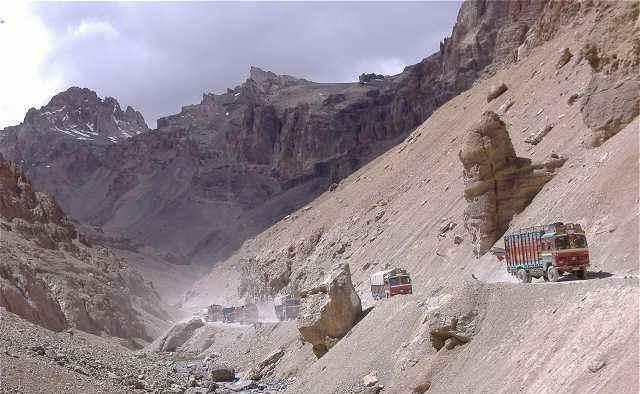 Driven to the spectacular Lamayuru Gompa. Stay in simple Ladakhi Guest House or Camp. Walk to Rizong, the only Nunnery in Ladakh. Return to Leh via important Buddhist wall paintings of Alchi Monastery. 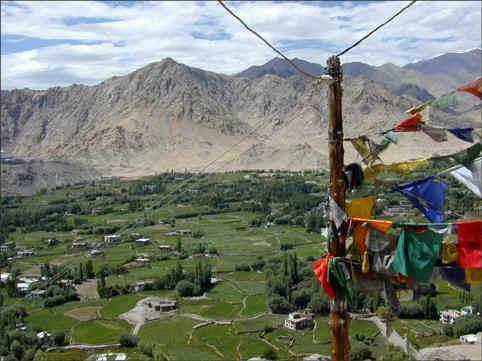 Stay at Ladakh Sarai or The Grand Dragon. Visit the treasures of Stok Palace, the Tibetan refugee camp, and for shopping. End of Choomti’s Ladakh tour. Footnote ~ Best time August and September.